Fear is Fuel to Ignite Your Business and Skyrocket Your Success! Fear is not your enemy…it’s your fuel! FEAR never goes away. ? The only thing you can change is how you face it! Fear isn’t a bad thing. It protects us and can make our feet move when we need to get the hell out of the way. Fear also helps us to check ourselves. Check in to what we are doing. Check in to the story we are telling ourselves. Check into why we are stopping progress towards our dreams.? The trouble with the FEAR that most of us experience is…we let it dictate our decisions. Often, we decide to shrink. Step back. Avoid and give up. The only difference between someone who is successful and someone who isn’t…how they face their fears. We are all scared. We are all doing things that are new and scary. We are all taking leaps in our business. We are all second guessing and worrying about the next step. THE ONLY DIFFERENCE for someone who is busting through barriers, crushing their fears and making the big bucks…is their willingness to to face their fears and do ANYTHING but let the fear immobilize them and their dreams. I challenge you, right now, to comment below ONE fear you have faced and walked through the fire despite the fear! Did you apply for a new job? End a one sided friendship? Make bold or daring decision with your looks? Ask someone on a date? What have you done that gives you evidence you can take a leap of faith and LIVE TO TELL ABOUT IT? Today, do ONE thing that scares you! Take that leap! Make that change! You’ll thank yourself for it! 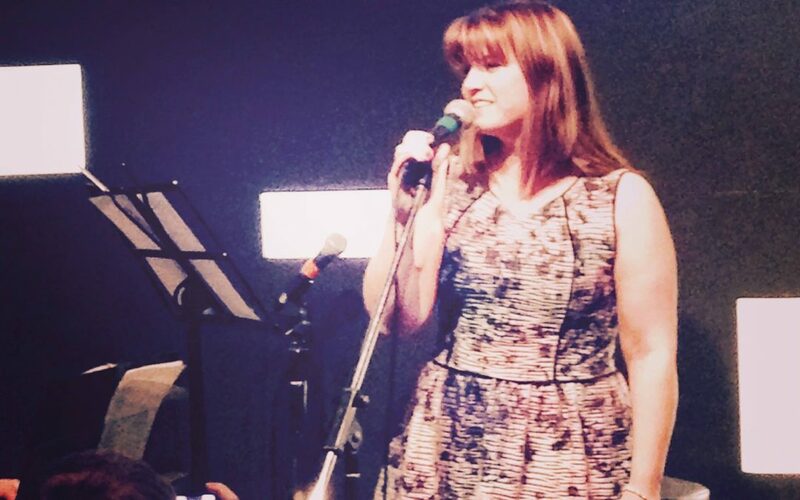 This photo is me…2 years ago, singing on stage for the first time since I was a teenager! Was I scared? YES. Were my knees knocking together? HECK YES! Did I worry I would sound terrible? Look foolish? Embarrass myself? OH YES! But I did it anyway! Here’s the kicker…I did a GREAT JOB! I had a blast! I was elated! I felt so strong and powerful! I shook in my stilettos, but I did it anyway! Join me at we grab hold of our dreams and fears and slam them together and create an amazing life! What You Don’t Know About Course Creation is Making You Broke, Angry and Frustrated.